Born to slaves in 1862, Ida B. Wells became a fearless antilynching crusader, women's rights advocate, and journalist. Wells's refusal to accept any compromise on racial inequality caused her to be labeled a "dangerous radical" in her day but made her a model for later civil rights activists as well as a powerful witness to the troubled racial politics of her era. Though she eventually helped found the NAACP in 1910, she would not remain a member for long, as she rejected not only Booker T. Washington's accommodationism but also the moderating influence of white reformers within the early NAACP. In the richly illustrated To Tell the Truth Freely, the historian Mia Bay vividly captures Wells's legacy and life, from her childhood in Mississippi to her early career in late-nineteenth-century Memphis and her later life in Progressive-era Chicago. 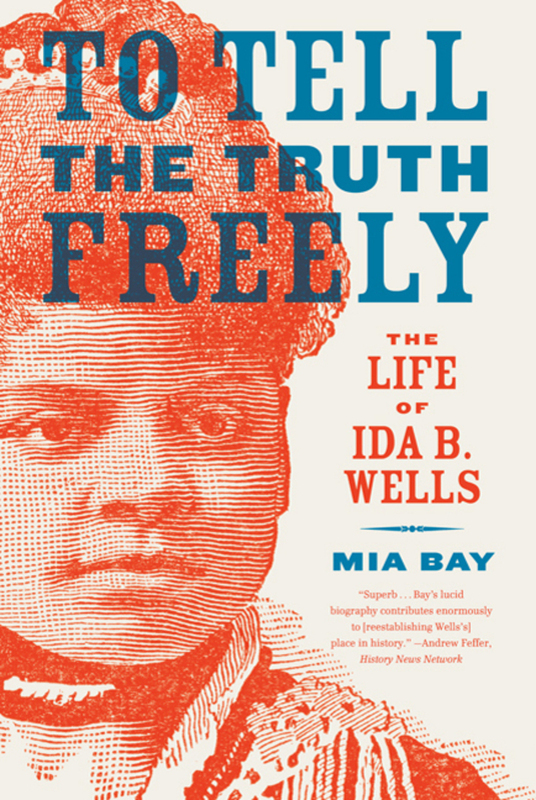 "If Iola Were a Man"
Mia Bay is an associate professor of history at Rutgers University and the associate director of Rutgers's Center for Race and Ethnicity. This is her second book.